Siobhan is from a small community on Labrador’s South Coast. In 2012, she was working on a ‘make-work’ project in St. Lewis, Labrador to get enough hours for EI to take her through the winter. It was here she met Tonia Pilgrim, WRDC’s Career Development Coordinator for the Labrador Region. Tonia delivered a presentation about trades and technology careers, WRDC’s services, and the Techsploration-Orientation to Trades and Technology (TOTT) program. With a little push from one of the NunatuKavut members, she completed her application and was accepted into the program. In January 2013, Siobhan participated in the first TOTT program in Labrador. It was delivered at the Happy Valley-Goose Bay campus of College of the North Atlantic, where she received hands-on experience in the following areas: welding, automotive mechanic, heavy equipment operator, carpentry, electrical and heavy-duty equipment technician. She received a variety of safety certificate and secured a job in the construction field. But Siobhan didn’t stop there. She moved forward and obtained funding from NunatuKavut to complete the Heavy Duty Equipment Technician program. 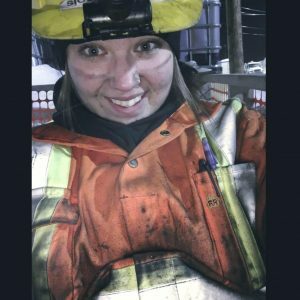 She successfully completed the first block of the program in 2014, and was overjoyed the day she received a call-back from Astaldi Canada to be a mechanic on the Lower Churchill Project in Labrador. 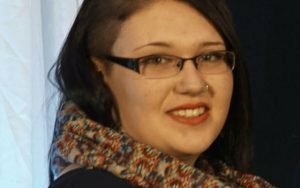 Siobhan has participated in many trades panels, including WRDC’s Tools of her Trade event and the Office to Advance Women Apprentices’ conference in Happy Valley-Goose Bay. She is an active mentor who encourages young girls to work in non-traditional occupations. Siobhan is also a National Representative for Canada’s Building Trades Union, Build Together, a national program that promotes, supports and mentors women in the skilled construction trades.